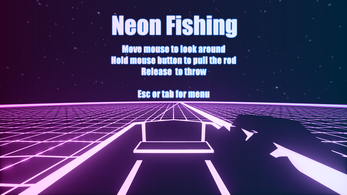 Neon Fishing is a first person fisher game, set in a neon sci-fi ocean scenery. Catch fish of all shapes* and sizes! Experience the eye-destroying contrast of a beautiful neon bloom-filled 3D world! Made for the Fishing Jam in a weekend. Plus a few hours during the week. 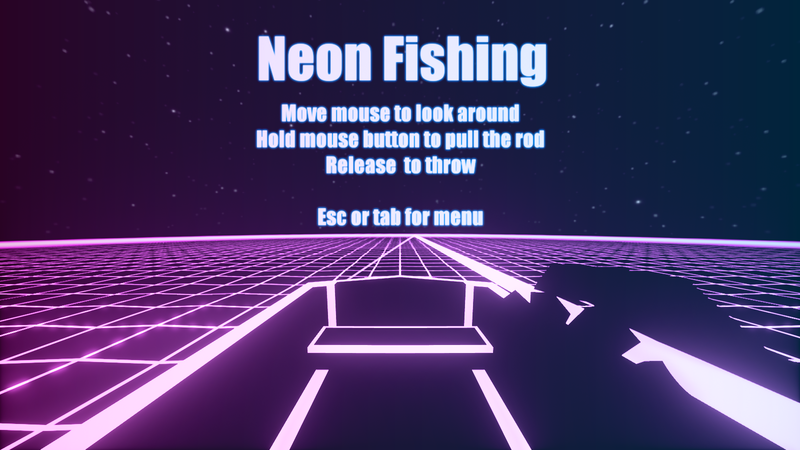 If you'd like the Unreal project files, to mod, to learn or whatever else, you can get them on the Neon Fishing GitHub page! Now in VR! Just download the VR version and have fun. Developed and tested on the Vive, you can press the thumbpad to open the menu and then press the trigger when looking at the "exit" text to exit. The trigger is also used to release fish. Otherwise, it's just intuitive hand flailing!